It is easy to repost and retweet and feel like you are doing something useful. In this area, it is essential to remember is ‘quality over quantity.’ The aim in creating a social media presence is to enrich the user experience. It is essential to engage in meaningful conversation, not just lazily point readers in the direction of information they may or may not find useful or interesting. 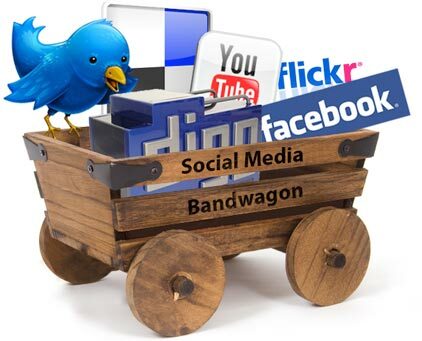 There are countless people jumping on the bandwagon, making twitter and facebook pages for companies. They are reposting and retweeting ad nauseum. This is completely pointless unless you have something valuable to say. There seems to be the misconception that having a presence is enough to establish yourself in social media. Simply being seen is insufficient. It is the value of the content contributed, and the level of engagement that make presence worthwhile. To succeed in the online social community, brands need to create a presence by facilitating new and exciting social connections aligned with their values. It is not enough to create posts. Creating a spark in conversation and then actively participating is key. This applies to non-corporate and non-professional individuals as well. Yes, to be heard you have to be seen. However, if you want anyone to pay attention, it takes considerably more effort and attention to detail. Please share your relevant experiences with social media in the comments section below.